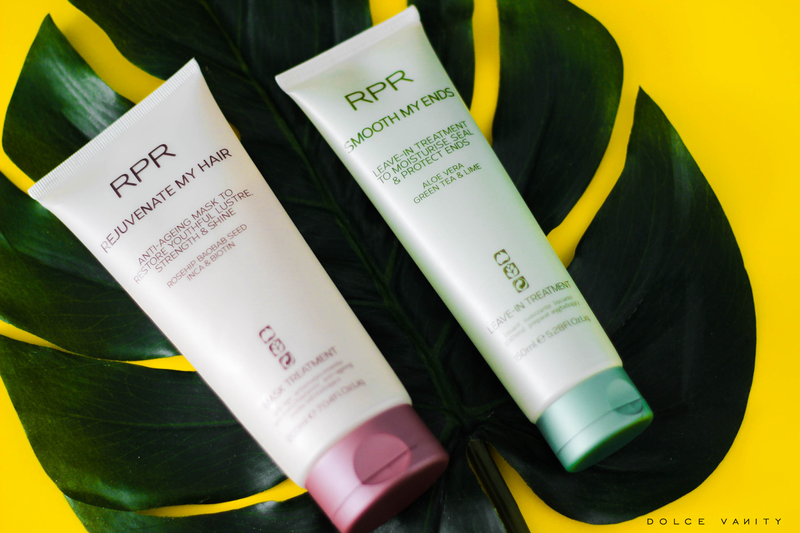 RPR Haircare is an Austrialian brand made with Botanical actives, advanced proteins, vitamins, keratin, UV Protectors and fresh fragrances. Within the range you can find shampoos, conditioners, treatments, styling and finishing products that work for our lifestyle choices. RPR products are paraben free. Treat your hair right, it'll treat you right. Over the months my hair has gained considerably a lot of length but underneath the dark brown / black hairdye is previously bleached blonde hair and over time the ends are suffering until I completely cut it off, I must protect and heal my ends. I'm that type who hangs onto those ends & slowly trims probably a millimetre off lol. Anti Ageing Mask to restore with youthful lustre. Treatment that is enriched with RPR signature blend of Rosehip, Baobab and Biotin will transform fragile lifeless or damaged hair into lustrous healthy hair with body, bounce and shine. Dry scalps will be hydrated and oily scalps balanced. Once I've washed my hair a couple of times with my chosen shampoo, I apply this to my hair from mid-length to the ends and put a shower cap on to steam my hair, you can leave it on for a couple of minutes. I tend to keep it on for about 5 minutes and rinse it out. My hair feels smooth and soft but I always have to remember that it's wet and I don't suffer from dry hair but it can be a little thirsty at some points of the year, therefore hydration is key. Leave in treatment to moisturise seal and protect ends. Infused with Aloe Vera, green tea & lime, this leave in aims to moisturise, seal & protect split ends and reduce frizz. In the past probably 4 years, I've noticed the benefits of leave in treatments and if I skip the step, my hair doesn't feel the same but I've never had one aimed for this particular purpose. I've learnt my hair can't take a lot of leave in, so I do have to be cautious with the amount I apply through. I will do it in sections to make sure the ends are coated well then leave my hair to somewhat air dry depending on what I'm going to do with my hair for that week. Pleasantly satisfied. Maybe I'm taking better care of my hair or these really do contribute. My ends seem well protected, no frizz. My hair worn straight is light and continuously feels hydrated while curly, it's got nice definition. I can't comment on shine because I use oil in my hair regardless of what I'm doing with it, so my hair will always have a shine. Samples // Outward links are affiliated. I love the sound of the Smooth My Ends product, definitely something I need! RPR sounds like a lovely range of products. I do like something that works well for dryness, without feeling like you've coated your hair. RPR sounds like a lovely brand with some great products.I have not yried them before but they do sound like they have given good results.